I have a short story that will be published in the upcoming UNDERGROUND COMICS #2. 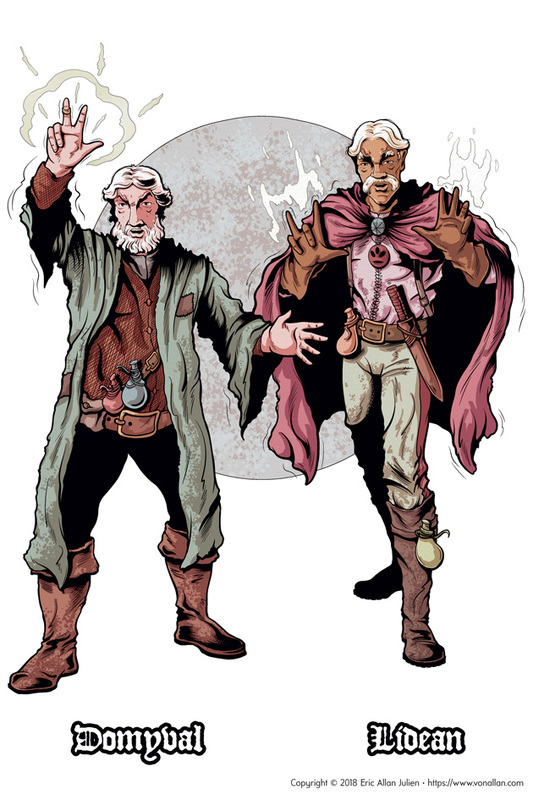 My story features the fellas below, Lidean and Domyval, two very old school magic-users that can't separate their identities from their desire (lust, really) for magic. I really enjoyed it. While I did the illustration below in colour, the actual story will be published in black and white. By the by, the first issue of UNDERGROUND COMICS is over at IndyPlanet. While I don't have a story in it, it does have some really great work by the likes of Jeff Call, Jason Sholtis, and Trey Causey. Comics and dungeons...what's not to love? !